In this monograph, Robert Hymes expands his thesis in “Personal Relations and Bureaucratic Hierarchy in Chinese Religion: Evidence from the Song Dynasty” in Unruly Gods: Divinity and Society in China into a fully developed theory of Chinese religiosity: the human-god relation is organized according to both the well-known bureaucratic model and the personal model. Hymes depicts this two-model image of the Chinese pantheon based on a theory of culture as a repertoire with accumulated and yet unevenly distributed models and symbolic resources that people draw upon according to their social background and circumstances (p.4). Using the Celestial Heart Daoism and the Hua-gai cult in Fu-zhou as examples national vs. local religions where the two models were took up differently according different socio-cultural situations, Hymes seeks to demonstrate the various ways that people employ these and other models to negotiate with and make claims to authority (p.10). Drawing upon religious texts like Verities of the Three Lords and Correct Rites and Spirit Code as well as local gazetteers, Hymes analyzes the Celestial Heart Daoism in Chapter 2 and the rise of the Hua-Gai cult from Chapter 3 to 5. The key terms of analysis involve different functions of enfeoffment, relations to places, travel, role of ordination, and different positioning of lay people, religious specialist, and gods in religious texts. After demonstrating the differences between the Celestial Heart Daoism and the Hua-Gai cult as rooted in the bureaucratic and personal model respectively in Chapter 2 and 3, Hymes moves on to explain the relation between the localist turn in Sothern Song and the rise of local cult in Fu-zhou in Chapter 4. Based on the differences between these two models and the timing of rise of Hua-Gai cult, Hymes argues that the rise of local cult and the personal model should not be simplified as an anti-central power impulse. Rather, “in taking up the worship of the Three the Fu-zhou elite both adopted an object of state concern as their own and turned it to their own purposes, in many ways opposed to the state’s” (p. 144). In other words, the rise of the cult of Hua-Gai was intimately connected with the tide of localism when Southern Song Fu-zhou elites’ increasingly identified with local authority and personal relations with the divinity as embodied in the Three immortals.Nevertheless, the relation between the bureaucratic and the personal model is more complicated than can be depicted by a local-national dichotomy. In Chapter 6, focusing on the Daoist specialists, Hymes reveal to us the entanglement between the bureaucratic and the personal model as enacted by these professionals: even the Daoist specialists elaborated the personal model to explain their own relations with other Daoists and Immortals. The reason behind such a combinatory Daoist (hence subject to the bureaucratic hierarchy) and personal model is, Hymes argues, that the local elites only needed to make two modifications of this existing Daoist model of Divinity for their own advantage: to emphasize the permanent local connection and to erase “the notion that the Immortals were also bureaucrats subject to higher power” (p. 170). Despite the prevailing use of the personal model among themselves, Daoist specialists nonetheless widely employed the bureaucratic model to set their relations with the lay people. In Chapter 7, Hymes argues that market force was the reason behind the popularity of the bureaucratic model because of its readiness to rise up to occasion to justify the market value of religious specialists as the “bureaucrats vis-à-vis their lay customers” (p. 205). To further demonstrate the efficacy of his thesis that people drew upon existing models of divinity according to the situations, in Chapter 8, Hymes leaps forward to the contemporary Taiwan and examines the mixing of the two models in the Jiao. The apparent paradox of frequent use of Jiao in a primarily personal and direct interaction with the god as presented in Verisities may very well be a personal expression of gratefulness where the Daoist specialists were only hired to do the offering (p. 251). This is a direct challenge of the received wisdom— “Daoist-on-top” pattern in understanding contemporary Taiwanese religious practices (p.220). 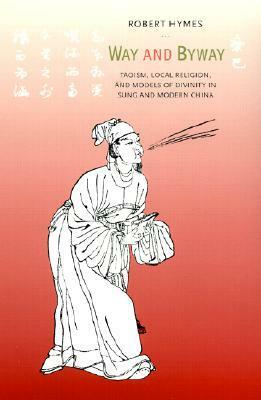 Through a re-reading of ethnographic evidence published in the last three decades, Hymes argues that in a contemporary Jiao ritual the Daoist liturgy and the lay worshippers of local gods come together so that Chinese laymen can “infiltrate the personal” (qing) into “the ostensibly bureaucratic” (li) (p. 260). While further research on both the dating of Verities of the Three Lords and Correct Rites and Spirit Code as well as the ethnographic studies of other local religions may compromise the details about the rise of Hua-Gai cult, challenge the characteristics of Jiao as a Daoist ritual, and reveal more models of divinity, after this monograph, it is no longer possible to view Chinese religion as a coherent, unitary system. His postmodernist theorization of culture combined with multidisciplinary research methodology point out a viable new path to engage with cultural studies of religion.